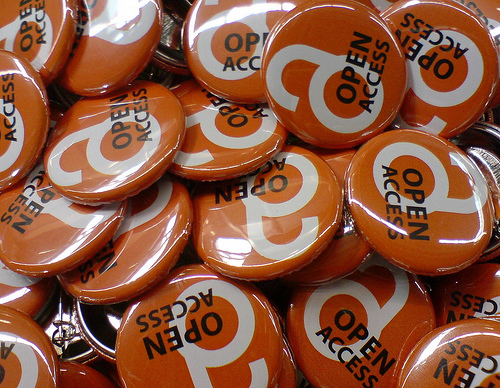 I posted over at the Re:Generations blog this past weekend about Open Access. I’ve blogged about OA before, but thought it was a timely topic what with Open Access Week taking place last week. Check’er out! From h_pampel, Flickr. Uploaded on June 7, 2009; accessed October 14, 2009. We are proud to announce that an Open Access Policy was passed unanimously by the librarians and archivists of York University on 1 October, 2009.
be assessed a year after implementation. Yay us! And just in time for Open Access Week! I honestly thought this day might never come. Posted on June 1, 2009 | Comments Off on I honestly thought this day might never come. We are extremely pleased to announce the third volume of the Faculty of Information Quarterly: The Housing Memory Conference Proceedings (http://fiq.ischool.utoronto.ca/index.php/fiq)! This issue is the collection of articles submitted from presenters of the Housing Memory conference, held at the Faculty of Information during March, 2009. The event – which brought together students from across North America, and featured a keynote address from Geoffrey Bowker of Santa Clara University – was a great success, and the provocative, compelling presentations given are captured through these proceedings. Comments Off on I honestly thought this day might never come.